Stoneworth Apartments is located just off of Rt. 79 at the Slippery Rock exit. These efficiency apartments start at $475.00 per month. Each apartment is fully furnished or, if you would like, you may bring your own furniture. Stoneworth Apartments are quiet inside and out with 10 inches thick walls between each apartment. In the included utitilities you will find cable television, high speed zoom internet, electricity, heat, and air conditioning. This apartment complex is clean and professionaly managed. 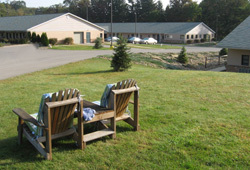 Stoneworth Apartments offers an onsite laundry facility, plenty of FREE parking, privacy and security. Single Bedroom Apartments located in Slippery Rock, PA and are very convenient to Cranberry Township, Zelienople, Grove City, New Castle, Mercer, Etc. These apartments are great for traveling businessmen and women. 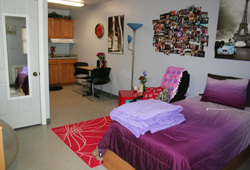 They are fully furnished and we offer short term / long term leasing option and even summer leasing available!